All Paradise homes currently listed for sale in Paradise as of 04/18/2019 are shown below. You can change the search criteria at any time by pressing the 'Change Search' button below. If you have any questions or you would like more information about any Paradise homes for sale or other Paradise real estate, please contact us and one of our knowledgeable Paradise REALTORS® would be pleased to assist you. "BEAUTIFUL EXECUTIVE HOME AT END OF QUIET COUNTRY ROAD!!! 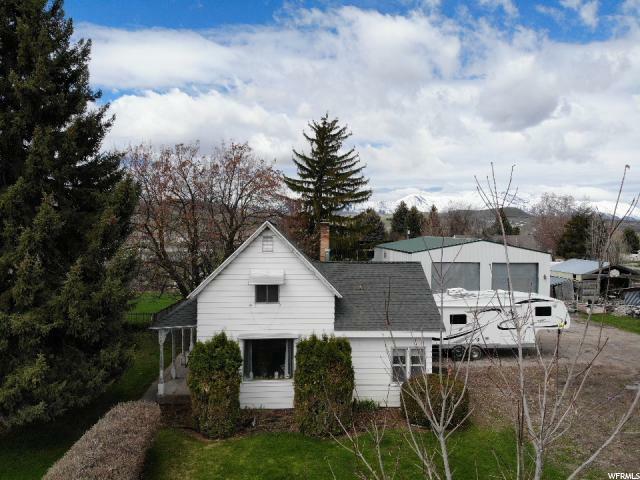 With a large yard, mountain views, circle driveway with RV parking and 3-car garage, shed, basement mother-in-law apartment with its own entrance through the garage, vaulted ceilings, tons of storage, two laundry rooms, main floor living, and more.... this one won't last long! Call today!" "Once you arrive, you will certainly want to remain-as you become the envy of others. You have discovered a piece of Paradise! You will love living in the large, spacious, rambler home that is surrounded by large, mature trees. You will find this land perfect for many uses. Perhaps you want to raise farm animals, grow your own food, raise your own beef, and have horses? Or perhaps you dream of having a large garden and winning a state fair blue ribbon for your raspberry jam and blueberry jelly? Do you have a lot of toys-RV campers, boats, ATV, 4x4s-and need space to park them? You can own your own farm land and enjoy the space and tranquility of country living. One thing for sure, you will love the many large trees surrounding the rambler home, creating the perfect shade in the summer. Just imagine how good it will feel to relax in your hammock under the large shade trees in your backyard, as you nap listening to the country breeze rustling the leaves. If you wake early, make sure to catch the beautiful sunrise over the mountains in the East, while listening to a rooster in the distance making his morning salutation to the sun. Watch the summer sun setting like warm molasses in the sky, reminding you to slow down and enjoy the beauty of the moment. This lovely home and land is truly a slice of Paradise-and, you can make it yours. Come experience and feel this homestead for yourself. Your opportunity to own a piece of Paradise won't last long, so make an offer today and claim it for yourself. " "Own a piece of PARADISE! Literally! This home has an amazing 35x68 shop that also has a 10x68 covered patio! Great for entertaining A LOT of people! This place was just made for gatherings! With a SWIMMING POOL and HOT TUB too! Awesome horse property on 2.49 acres with 2 water shares. The obstructed views are amazing! The house features a remodeled bathroom, new carpet and paint, a very large mud room/laundry rm and tons of storage! Outside there is a hay barn, tack shed, corrals, a root cellar, 2 garden spots, and more! Schedule a showing today! 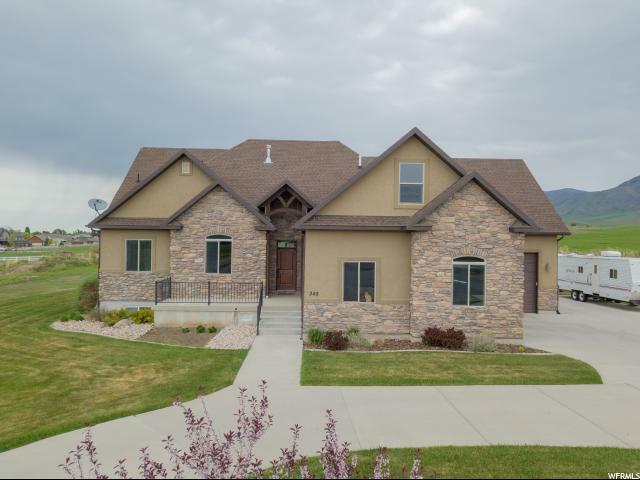 Click on the tour button for an video of this amazing property!"